The residents in Midnight, Texas have each moved here because this is a town where everyone knows not to ask questions; they don’t want any questions asked about them so they don’t ask in return. We are slowing learning the secrets of Manfred (a psychic), Fiji (a witch), Olivia, Bobo, Lemeul (a vampire), and the other residents, but Day Shift focuses on Manfred and the death of one of his loyal clients, Rachel Goldthorpe. The town, old residents and new, come together to protect one of their own against a police investigation. Harris introduced a few new characters in Day Shift and we learn some really exciting things about a few of the long-term residents. I was also happy to see the mention of Sookie and the introduction of another character from the Southern Vampire Mysteries books. I am so impressed at the author’s ability to write such an engaging slower-paced novel. Sometimes we see, “three months later…” or “one week later…” but it doesn’t feel like we miss any vital information. I loved this book so much that I read it in 3 weekdays and I am already looking forward to the third one! It also kinda makes me want to move to Texas which isn’t good so I hope that passes. 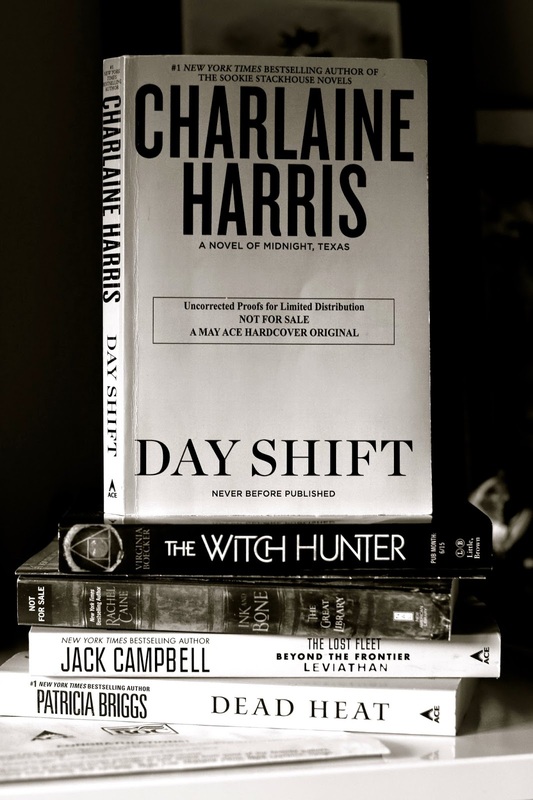 Day Shift by Charlaine Harris will be available on May 5 2015! I was given a free copy of this book as part of the Ace/Roc Star program through Ace & Roc books.